In a blender, combine the soy sauce, SANE Honey, vinegar, ginger, garlic powder, and melted extra virgin coconut oil. 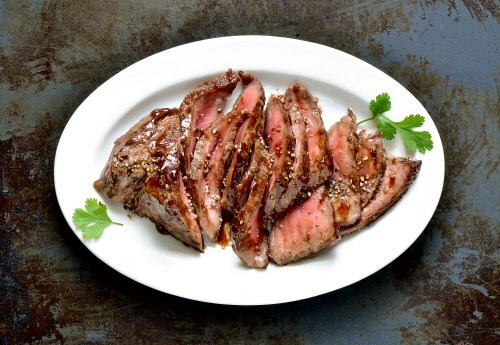 Lay steak in a shallow glass or ceramic dish. Pierce both sides of the steak with a sharp fork. Pour marinade over steak, then turn and coat the other side. Cover, and refrigerate 8 hours, or overnight. Place grate on highest level, and brush lightly with oil. Place steaks on the grill, and discard marinade. Grill steak for 10 minutes, turning once, or to desired doneness.